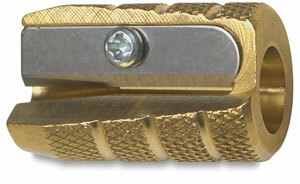 Alvin's Brass Bullet Pencil Sharpener is the perfect accessory for taking on a day-long sketching trip. It's one of the tiniest and most compact pencil sharpeners ever made, yet it's one of the sturdiest. 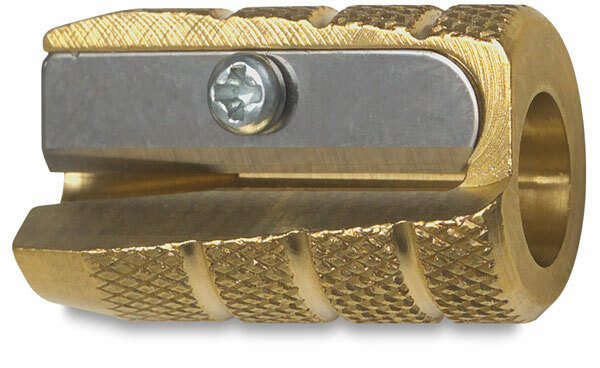 It features solid brass bullet-shaped construction with a replaceable stainless steel cutting blade. The blade can be removed and sharpened in a knife sharpener.